Prehistoric Peruvian civilizations were based on agriculture, which depended on climatic conditions. 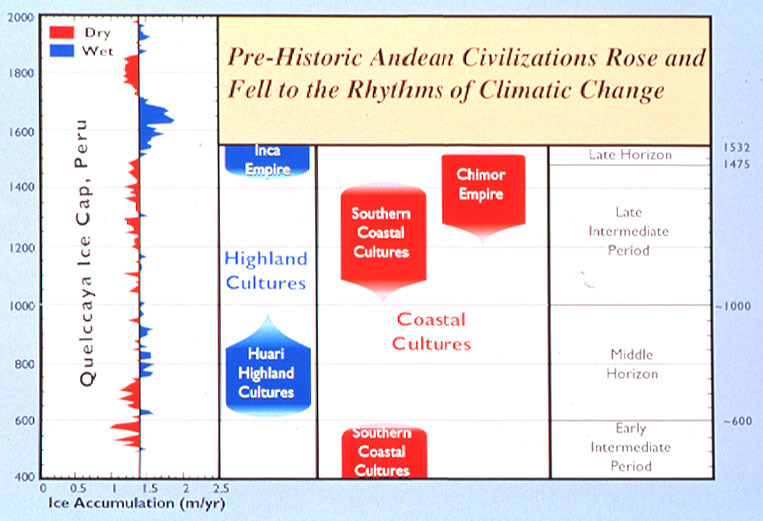 The Peruvian coast and mountains are very dry, and agriculture was only possible during pluvial (rainy) periods. Pluvial episodes alternated between coastal lowlands and mountain highlands. The Inca empire existed during the Little Ice Age pluvial period. From World Data Center for Paleoclimatology (educational slide set).